Maltese tenor Joseph Calleja, together with young singer Emma Muscat and Italian singer Eros Ramazzotti, gave a brilliant performance on Saturday evening at the Granaries in Floriana. Around 15,000 music lovers attended the concert which is now an annual event. The Maltese tenor revealed that next year, the guest singer at his concert will be the world-renowned Italian tenor, Andrea Bocelli. During Saturday’s concert, Joseph Calleja enchanted the large audience which his talents as an artist while he interpreted music of different genre. Eros Ramazzotti also delighted the crowd during the concert with his performance of many of his popular songs, including I Belong to You, singing in a duet with Emma. 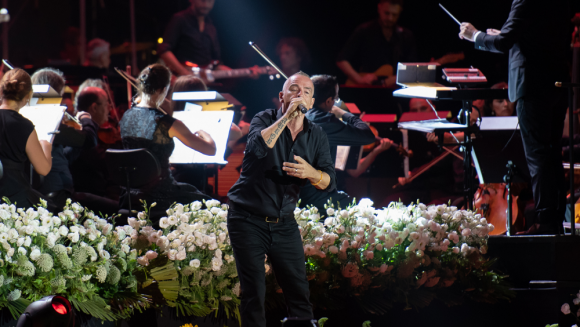 The respect between Ramazzotti and Calleja was however evident during the concert with the two singers alternating different musical genre that provided a spectacle and enchanted the audiences with their duets.